When it comes to streaming devices, the three biggest names remain Amazon, Apple and Roku. But of those three, it's only Amazon and Apple that have truly established voice assistants working alongside their TV platforms – Roku have dabbled with voice controllers in their remotes, but it's not offering a true Siri or Alexa alternative. That may all be about to change, if new job listings for the company uncovered by Variety are anything to go by. Of course, Roku's TV boxes need to output audio, and have previously featured voice control remotes. That could to some degree explain the need for new hires, but the wording of the listings suggests that it's looking to move into a potential standalone audio product, too. The descriptions include requirements that the candidates be familiar with total dynamic distortion, and de-reverberation, key knowledge in creating a speaker/mic array that could identify voices from a distance. 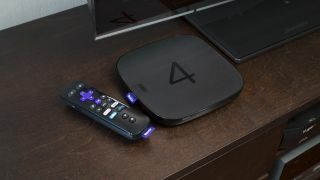 Roku software is already present in TCL TVs, but could see room for expansion into the space occupied by the Amazon Echo, Google Home and Apple HomePod. If it's to stay competitive with those platform holder's media distribution services, a key future component could be a more robust voice offering. Roku will now want to be left behind.